Amisfield Wine Company is adjacent to Lake Hayes, close to Queenstown and the first winery one encounters driving north to the vineyards of Central Otago from Queenstown. Planting of the estate vineyard just north of Lowburn near the shores of Lake Dunstan started in 1999 and consists of 150 acres of Pinot Noir, Pinot Gris, Riesling and Sauvignon Blanc. The vineyard sits in glacial and allujvial schist soils at the foot of the Pisa Range. Australian Jeff Sinott was the winemaker beginning in 2001 and was later replaced by Stephanie Lambert. Lambert has a PhD in enology focusing on red wine color chemistry. A modern winery was built at the Lowburn Vineyard in 2006. The winery maintains a spectacular tasting room and Bistro at Lake Hayes, just a ten minute drive from Queenstown. The Pinot Noirs have had consistent success at wine competitions and in 2004, won the award for Best Pinot Noir at the San Francisco International Wine Competition (the winning wine was the 2002 Amisfield Pinot Noir). The winery is releasing an inaugural Rocky Knoll Pinot Noir from a selected block of the estate vineyard in 2006. The 25,000 case production is sold under the Lake Hayes, Arcadia and Amisfield labels, with 50% of production devoted to Pinot Noir. 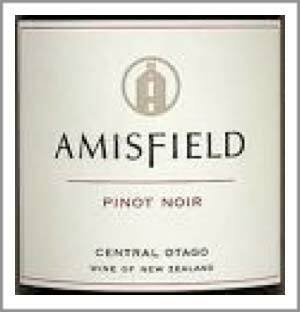 The Amisfield range focuses on single-vineyard wines sourced from estate fruit. A special Pinot Noir, RKV (Rocky Knoll Vineyard, a special 2.5-acre parcel of Amisfield's estate vineyard), is offered in some years. The wines are exported to the United States (Pasternak Wine Imports, Harrison, NY)), UK and other countries.